Rare opportunity to run your own daycare. 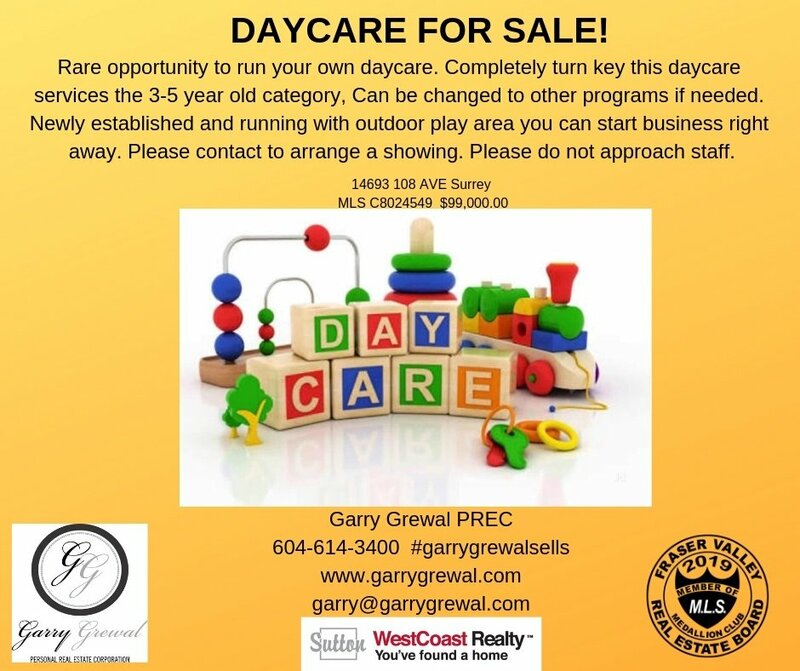 Completely turn key this daycare services the 3-5 year old category, Can be changed to other programs if needed. Newly established and running with outdoor play area you can start business right away. Please contact to arrange a showing. Please do not approach staff.